Firearm seized from suspect gang members by U.S. Homeland Security Investigations. Courtesy of U.S. Homeland Security Investigations. Gang-related crime statistics for Los Angeles County has been spotty at best and almost nothing is current. 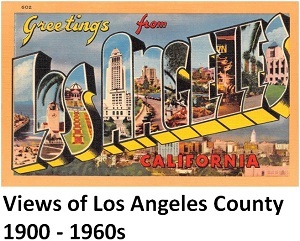 The most recent complete statistics for any jurisdiction in Los Angeles County were for 2012, and that was for only one year. As of 2017, the Los Angeles Police Department hasn't released any complete numbers since 2009 (see below). Although Los Angeles Police Chief Charlie Beck stated in 2016 that gang-related crime had gone up 14.6 percent in 2015 and nearly 60% of homicides were gang-related, we have seen few complete numbers for Los Angeles released to the public. Gang-related crime data had not been released for all of Los Angeles County until 2012 (but only that year). That year, the Los Angeles County Sheriff's Department identified gang-related crimes within its jurisdiction in the department's annual crime data release. The largest number of gang-related homicides reported above occurred in Compton (21). Source: L.A. County Sheriff’s Dept. Gang-related violence accounted for approximately 43% of all homicides in Los Angeles County, per Review of Homicide Crime Statistics, Criminal Justice Center, 2005. Note: Data below is for all jurisdictions in Los Angeles County. No new data since 2001 has been released for the county as a whole. Complete gang-related crime statistics have not been released by the LAPD since 2009. In their website, the department does state that (presumely for 2014-2016) "during the last three years, there were over 16,398 verified violent gang crimes in the City of Los Angeles. These include 491 homicides, nearly 7,047 felony assaults, approximately 5,518 robberies and just under 98 rapes." These numbers are not delineated by year. We also came across released department correspondence that reported gang-related crime numbers in the Western San Fernando Valley for the years 2014-2016. Note: Data in the table below was the most recent released by the Los Angeles Police Department. Also see Alejandro A. Alonso’s www.streetgangs.com. One third of the victims were not associated with a violent gang. The median age of the victims was 21. The gang-related death rate of African American males, ages 15 to 19, tripled. The gang-related death rate of Latino males, ages 15 to 19, increased by about 30%. Less than 5% of gang-related deaths were related to narcotics trafficking. Guns were used in 95% of gang-related killings. The use of semiautomatic handguns in these killings increased by more than 40%. Assault weapons were used in only 2.8% of the deaths.